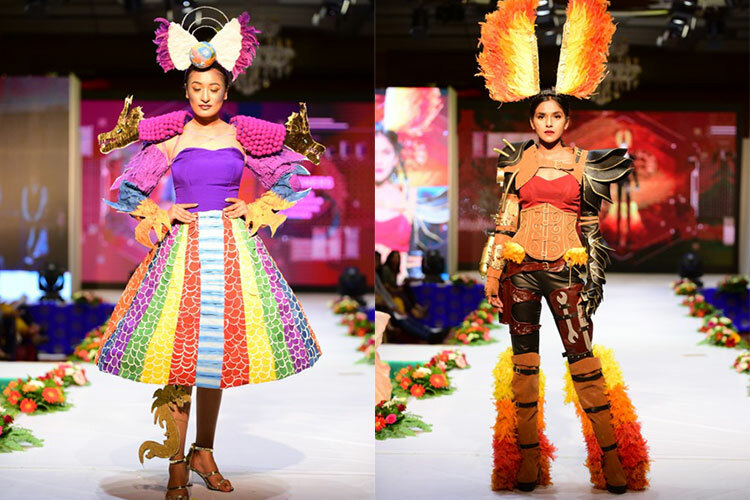 14th graduation fashion show of Namuna College of Fashion Technology titled ‘Abhutpurva Parikalpana’ journey of fashion xiv, grand celebration of the creative ideas and innovative explorations played on the various fabrics, colors and silhouettes on 7th October 2018. 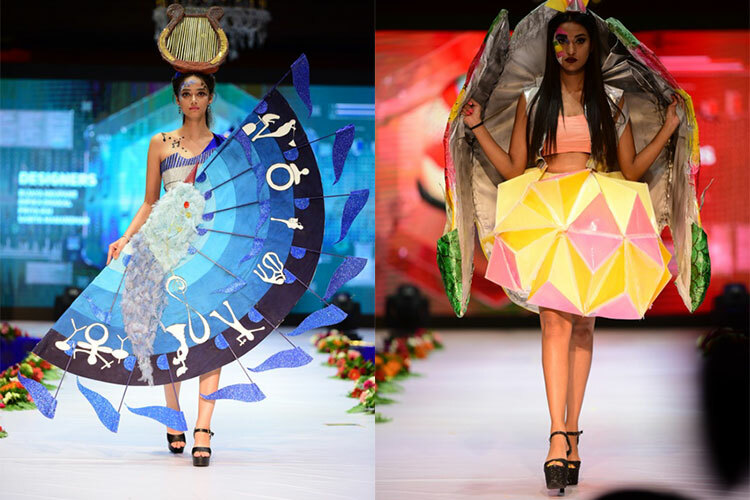 The actions and motions of mesmerizing scenes of fashion, style and creativity of 84 talented graduating students of 14th batch of Namuna College were spotted on the grand and innovative stage set up. The real visual treat the event featured 21 magnificent creative designs and each design stood out as special was able to captivate the beholder. 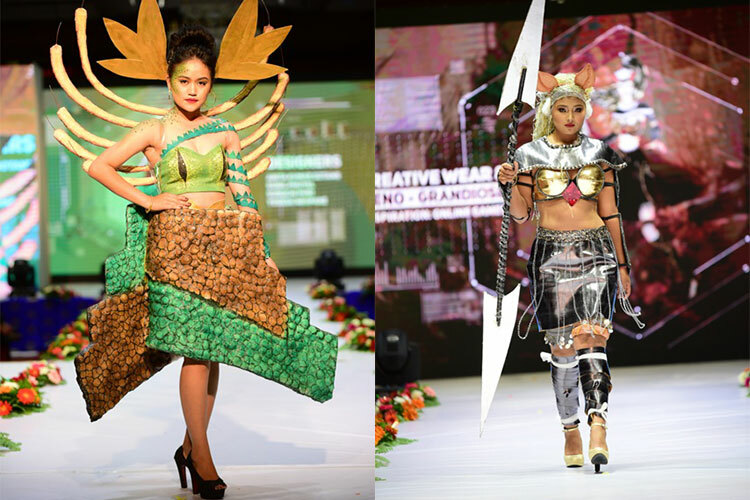 The designs were inspired from various futuristic elements mainly being hypothetical, imaginary and innovative. 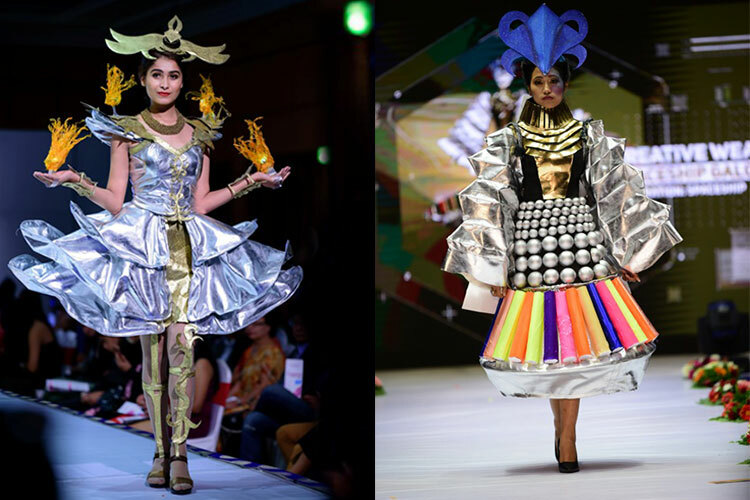 The dresses spotted came lively with various inspirations like science and technology, beetle, universal law of destruction, mutation, trans-humanism, a giant rainbow serpent, online games, sea turtle, music, spaceship, army robot, gold and silver, ice kingdom, alien gamer and many more. The show entitled as Abhutpurva Parikalpana showcased at Hotel Soaltee Crown Plaza, Kathmandu was choreographed and directed by Rojin Shakya. 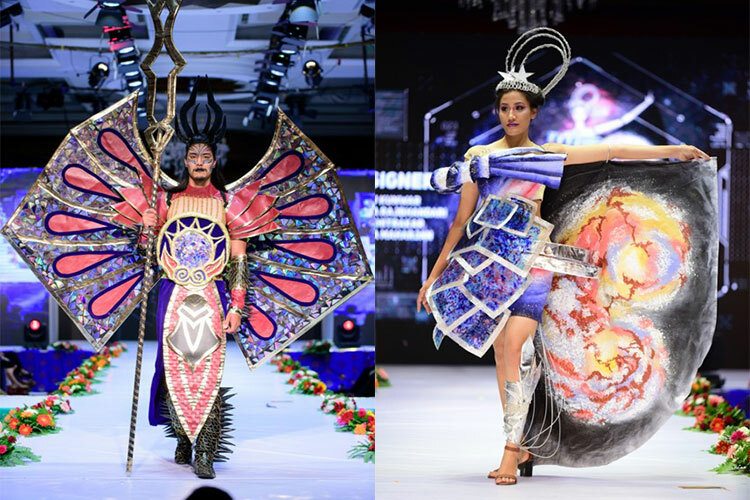 The event also had featured five other sequences which delivered various kinds of attires. 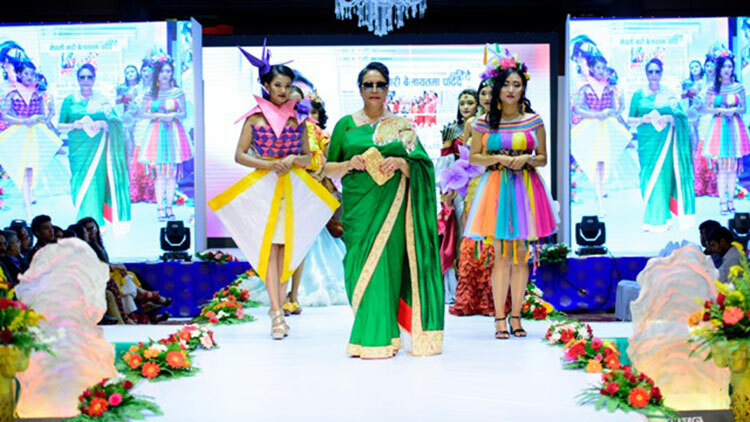 The event got its official take off with the appearance of Founder Principal of Namuna College of fashion technology, Mrs. Gyani Shova Tuladhar. Her appearance was spotted with the models flaunting the dresses used for the photo shoot incorporated in the promotion of the event. 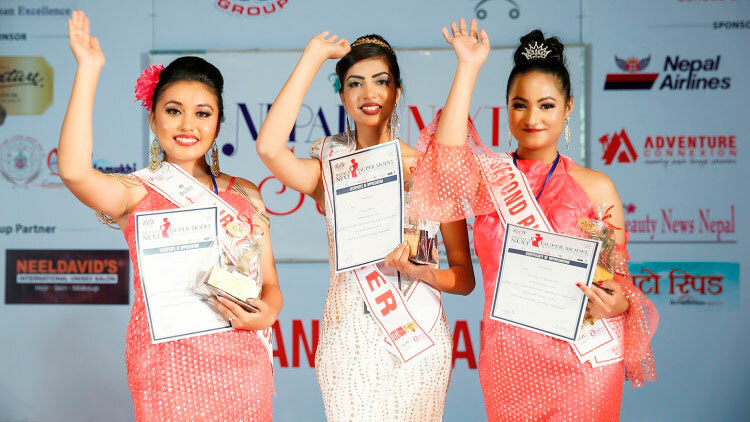 The sequence called Cultural Diversity came up delivering modification and combination of color, texture and pattern of cultural dresses of various ethnic groups residing in Nepal. 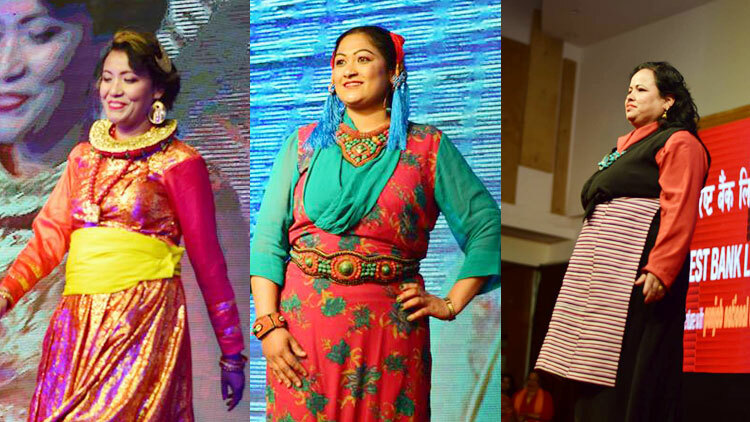 Mainly the cultural dresses inspired form Limbu, Tamang, Sherpa, Thakali, Newar, Sunuwar,Tharu, Dhimal and Rajbanshi were been showcased. 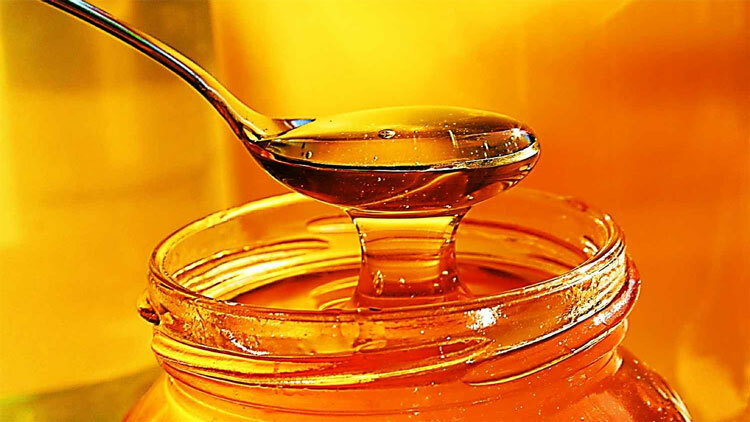 The sequence called naturally rich presented the garments made from natural fibers. Natural fabrics like jute, hemp, allo, bamboo were majorly used to bring the dresses like over-sized coats, skirts, one piece dresses, burmuda etc. following inspiration of flapper. The round called Dramatic Glam had long dramatic gowns with all kinds of dramatic silhouettes played on the fabrics like satin, net, chiffon, printed fabrics. The colors like orange, purple, yellow, green, silver were dominant in this round. 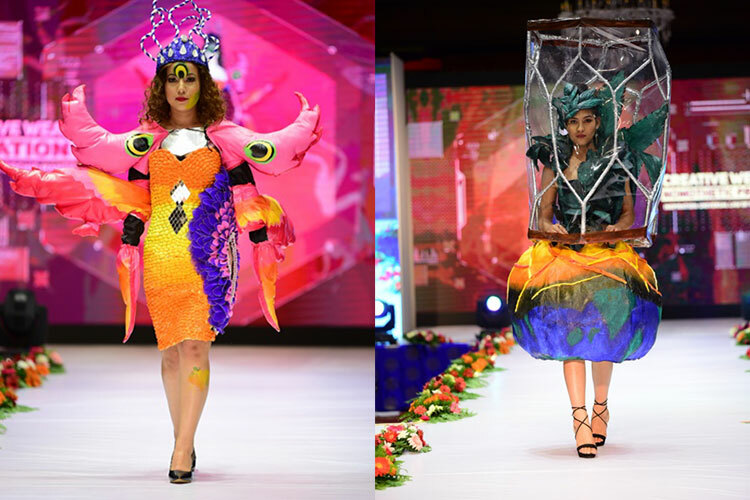 The show also saw the sequence that delivered the dresses on bright and popping colors like yellow, pink, blue, green. Flashy t-shirts with eye popping prints coordinated with contrasting pants and one piece dresses were the highlights of this sequence and were presented under theme pop-art. 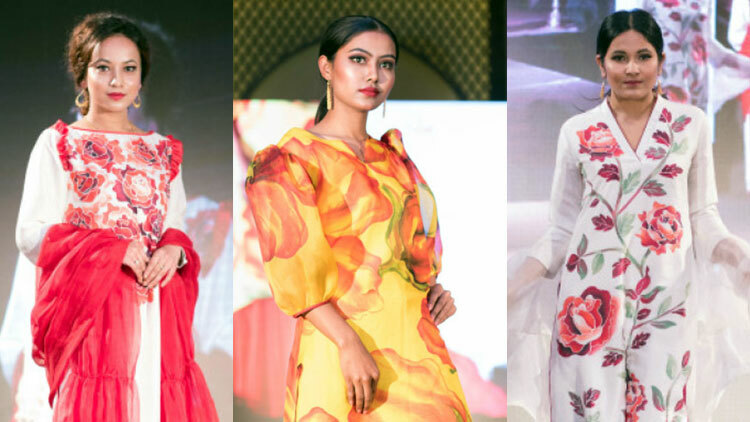 The visual treat of the show also had the sequence called lily of the valley that showcased the collection of dresses that featured the dramatic sleeves of various lengths, matching separates and elegant sleeves. The fabrics used in the garments were mainly satin, suiting fabric, net, organza and tissue.